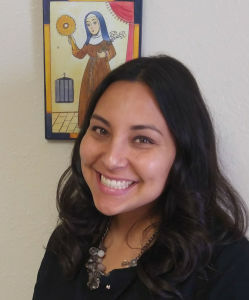 Amanda Noriega began working as the Director of Religious Education in July of 2013. She is a graduate of Benedictine College with a Bachelor’s degree in Theology. Amanda has been involved in various ministries throughout the years. She has a heart for serving the poor and teaching. She spent three years teaching high school theology and several years serving the poor in NYC. She settled back home in NM and enjoys time spent with her family.